Dubai is the home of leisure and entertainment, today Dubai is the hottest travel destinations in the world. Because of the developing city and the leisure and luxury lifestyle that Dubai offers for travelers. There are lots of things to do in Dubai, whether you plan to live there for good or to travel to Dubai a vacation or holiday. The diverse lifestyle of Dubai has been well known for many years and the constant change and development in Dubai has made it even more attractive for tourists to visit the city. You find hundreds or even thousands of cafés and restaurants as well as theme parks and amusement parks nevertheless resorts, malls, markets and nightclubs. Dubai offers particularly world class entertainment from live concerts, disco bars, nightclubs and many others. Dubai has also the number one luxury class cinemas and golf courses are particularly pursuit in Dubai as they own the most beautiful and largest golf course. If you love underwater adventure lots of resorts offer diving and snorkeling tours, or if you love shopping Dubai owns the largest shopping mall in the world, where you find thousands of stores and also entertainment inside the mall. 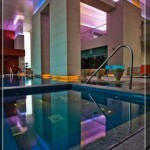 If you area tourist in Dubai, Dubai is known for their leisure and relaxation in their world class hotels and resorts. 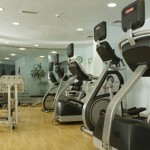 Inside the hotel premises you already find a lot of things to do, as the different hotels offer different adventures. For desert adventure you can either choose to ride a camel. Hummer or hot air balloon, for historical adventure you can choose to take a Dhow Creek tour where you ridea wooden boat around the Dubai Creek. No matter what your interest is or what your preference is or which class you belong, you will find and experience good time in Dubai.